Shhotings in a cafe in Larnaca. No one got injured. 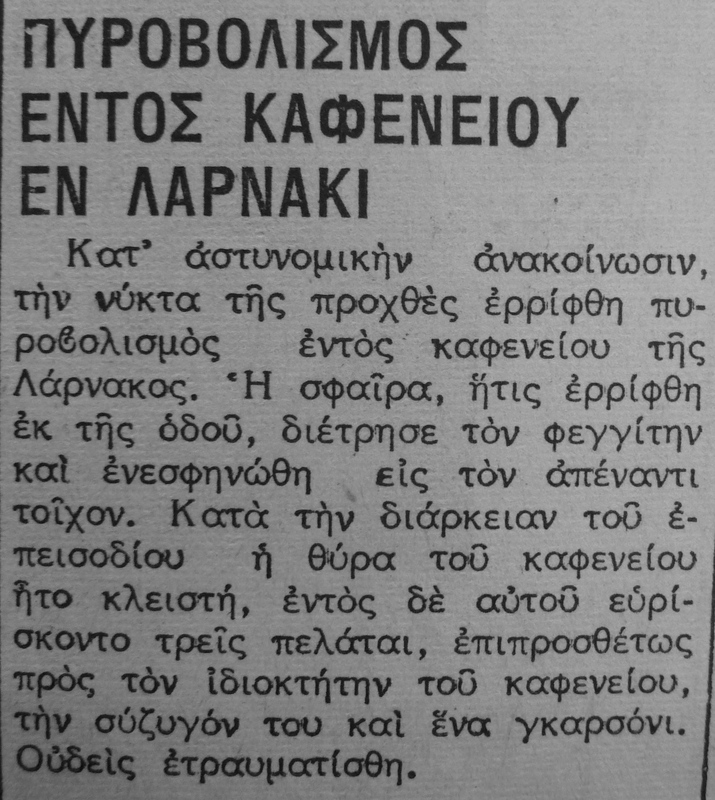 N.C., “Shooting inside a cafe in Larnaca,” Cyprus Critical History Archive: Reconsidering the culture of violence in Cyprus, 1955-64, accessed April 25, 2019, http://ccha-ahdr.info/items/show/1328.